That's right photos of my baby girl are up. Yay! I take December off from shooting sessions. I'm just finishing up orders, and that means it is time to editing some of the 1000s of photos of my family. Yep, I said 1000s, and yep, that's just in this year. Okay maybe that's just in the last 2 months, but who's counting. So that means you will be seeing a lot of my family this month if I get everything done that I'm planning. Ha! For now, I have some more from my little cupcake's 2 year old photos. I can't even believe she is 2 already. She is changing so fast now. Everyday brings new words and new adventures - climbing the cabinets, filling all the cups in the house and then pouring them into other containers while spilling half all over the surface below, putting baby dolls to sleep in the fridge (I told her she wasn't being a good mommy as I'm quite sure I've never put her in the fridge - and now there's a lock on said refrigerator.). The list goes on and on. I love her crazy, sweet personality. Teddy Bear, she loves you, and you are safe from the fridge for now, but beware Teddy, you may be next. See that last photo. That's her onry face. She kept taking the curtain down to get a reaction out of me, and it worked. It's like she is saying, "Do you see me mama?" LOVE her!!! How adorable. You may put the processing of these on the back burner, but god for you for taking the time to capture these memories! LOVE THEM ALL!!! 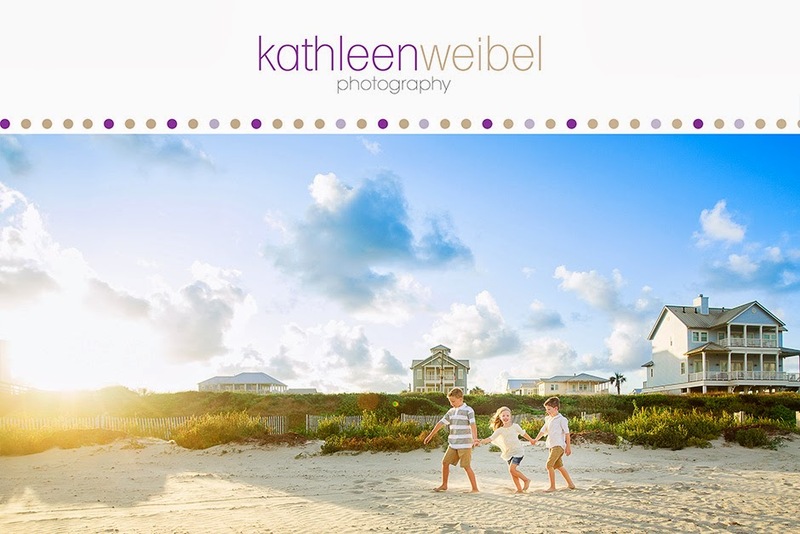 Love this session and everything about it, beautiful subject, precious outfit, gorgeous lighting and location! Perfect! Precious Precious memories Kathleen!! I adore the soft processing and that gorgeous light! It just makes these magical. That looks so fun!!! Beautiful photo and little girl and love your creativity! My goodness Kathleen it really comes through all the fun she is having with you. Teriffic shots. These are so precious Kathleen. I think they would make a great mini album. She is so sweet! So fun and whimsical! Love the lighting - so sweet! gorgeous, omgosh these tell such a story! love the light! your little one is beyond beautiful!! so well done! Oh, Kathleen - I love these! 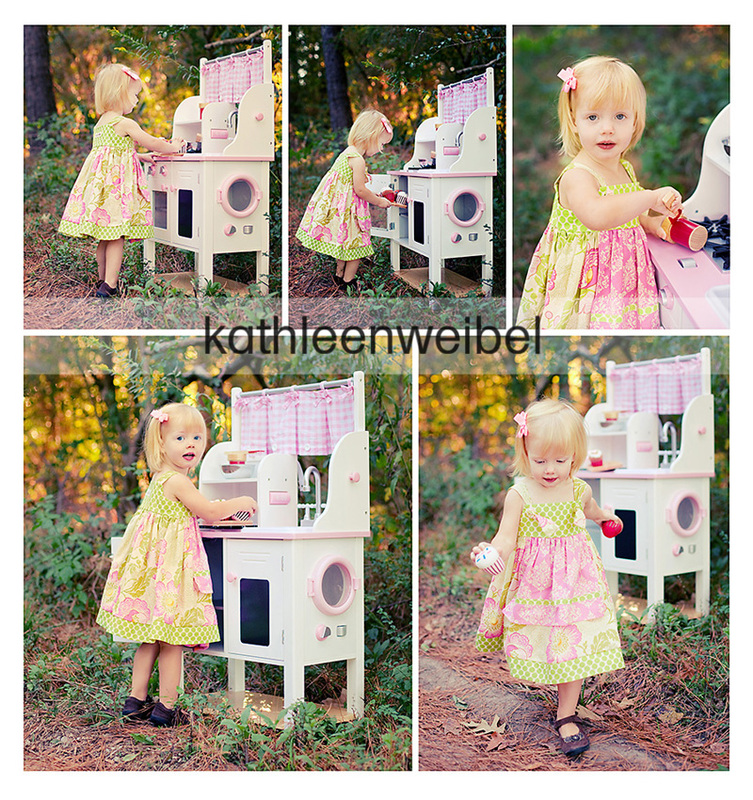 Bringing the play kitchen outdoors was genius! Happy birthday to your gorgeous girl! I can't tell you how much I LOVE these! They are simply gorgeous!!! What a fun fun session theme!! I love these. The color is absolutely amazing! My goodness you have to just be gushing over these images! 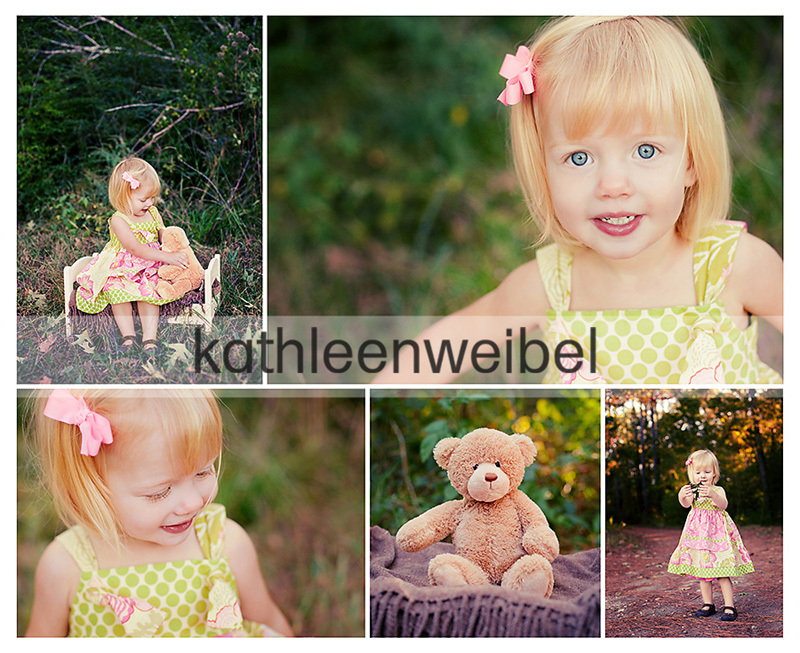 Not only is she just the cutest EVER but that is some beautiful light too! I know that orny look! LOL! Ahhhh, Kathleen, these have such a magical feel to them. I'm in love with these images! Kathleen these are so gorgeous! I am crazy about the lighting, and of course your daughter. She is so beautiful! she is precious!! sweet pictures!